Hello everybody. My name is Radek and I have pleasure to be Sixo owner since while. I was planning to upload this post more than 1,5 year ago, but I got stuck with engine failure and was able to finally assemble bike this year. 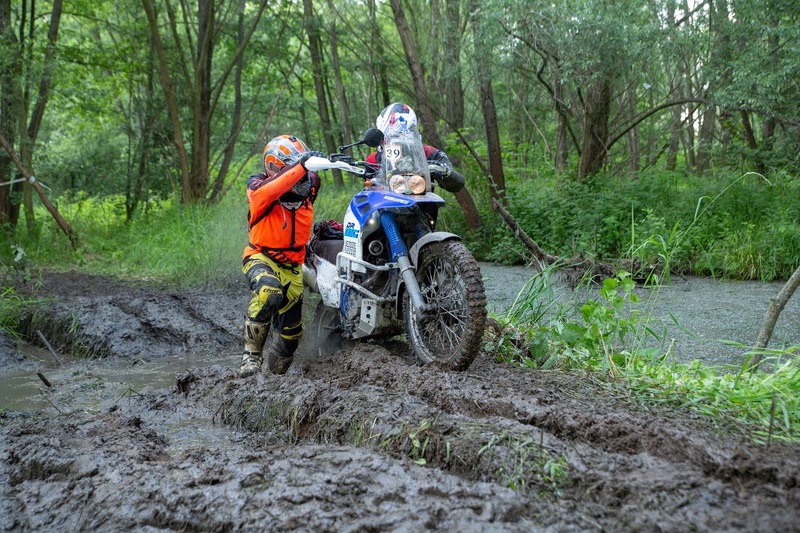 So project is DR750 form 1988 (SR41) – first year of production with drum brake. I did on dr800 more than 100 000km and I really love this bike. 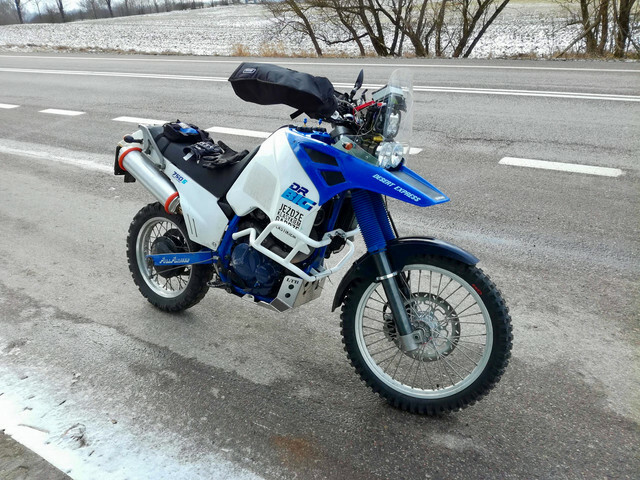 Since I am not traveling so much anymore decision was made to build amateur rally bike and join local amateur rallies. I was searching for some computer solution and decided that Sixo would be best for my purpose (compact, have all standard instruments + tripmaster). Some picture of the bike. I am not going to bore you with rebuilding process. It looked like this when I bough it. For installation I have used manual. Initial installation was made not to change original harness. I made connection to the original one. 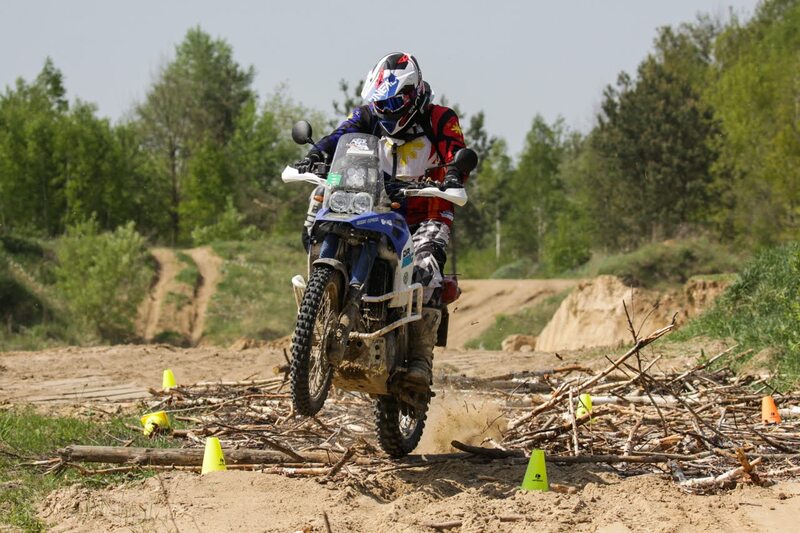 In 2019 I will start in couple of local rallies (including 24 hour rally, this is why there is huge led on the bike. Hey Radek, wow! Nice bike, amazing pictures! What is your experience with the F2R roadbook? F2R roadbook was the worst thing that happened to me! It was a birthday gift from my family (I used to have home made roadbook made of plastic box). Week after I receive it (even without installing on the bike) major engine breakdown happen (broken chain tensioner => bent valves, damaged valve guides etc...) it took me 7 months to recover. It is for sure roadbook fault and it have nothing to do to previous year engine rebuild. Therefore there was no chance to test F2R on the rallies. Other than that it look solid, is compact and properly sealed. The set is very well prepared - everything needed for installation. The engine breakdown was a nightmare for sure... I would have organized a new motor instead of rebuilding the old. I know the F2R roadbook only from fotos. But it seems to be a bargain. I always mention it as an alternative when people are asking for the SIxORB. That's why I am curious if it performs well. Would you like to post your last mail regarding the RPM signal here in the forum? So that I can answer it. It already contains a lot of links and a good strategy how to approach that sort of stuff. This is helpful to others. It was hard to find new motor. After rebuild I know what is inside. It should be all right now. In my opinion F2R is also a good option. I will use this year, so I can do summary at the end of the year. I will create new thread with my issues. I did some test lately and wanted to include them.